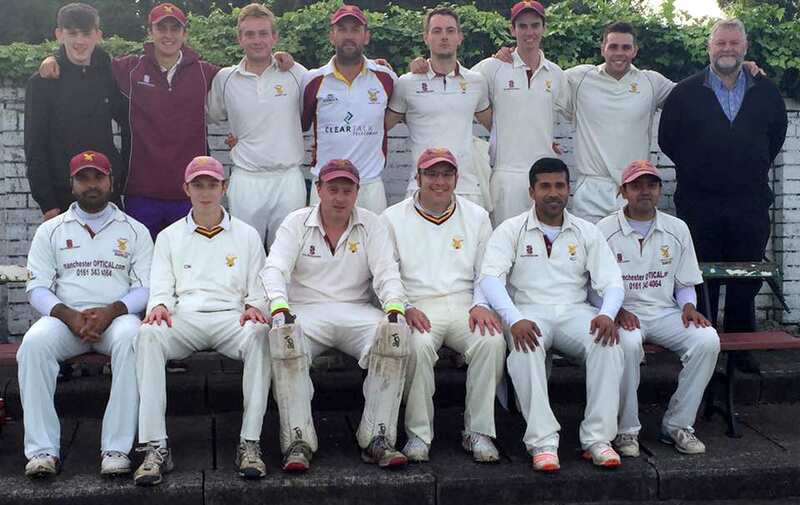 Stand went into the final game of the season, having already secured promotion to Division 1 of the GMCL, knowing a win would guarantee the Division 2 title. The start was delayed due to the recent wet weather but thanks to the efforts of Radcliffe, a 42 over game got underway. Catterall won the toss and elected to bat and the opening pair of Taylor and Thomas rewarded this decision with a season high opening partnership of 122, Thomas making 70 and Taylor 51. The middle/lower order then continued to pile on the runs as Professional Azmat (31), Curphey (32), Beirne (31*) and Davison (22*) all scored quickly to leave the visitors on 270-5 from their allotted overs. Stand made early inroads into the Radcliffe batting line up with Farley (0) dismissed caught and bowled by Ahmed in the first over. Wickets continued to fall regularly until the hosts had been bowled out for 65. Ahmed finished with 2-14, Ateeq 3-34 and Azmat 4-8, resulting in a 205 run win. In a season where weather washed out 7 of the 22 leagues games, this win secured a first league title for the 1st XI in a very, very long time and celebrations went on long in to the night. Professional Ali Azmat had a great first season with 847 runs @ 65.15 and 51 wickets @9.98, alongside Dinesh Ateeq (620 runs @ 41.33 and 33 wickets @ 12.48), and Matt Curphey, who also a good season with the bat supporting the top and middle order with 383 runs @ 27.36.